In this section, we are going to deliver the most valuable steps for delivering WOW to each patient that steps through your practice door. We’ve delivered WOW on that ever so important first phone call, got the patient to appointment – Where to go from here? NEW PATIENT PACKAGE – Although technology is allowing for many practices to direct their patients to their websites to download and print out all necessary forms prior to their first appointment, we are of the mindset of sending out new patient packages to enhance the WOW and new patient experience. While directing new patients to the website is a wonderful option for patients coming in the practice within the next few days, therefore making it difficult to be sure they receive the new patient package, there is nothing to match their receipt of a beautifully crafted, organized and detailed new patient package for continuing to deliver WOW! We send out the new patient package the DAY the patient calls to appoint! A personally addressed WELCOME & THANK YOU for choosing our practice letter, signed by the Dr.
Health History Form – Crisp, clean, NO photocopied or crooked forms! Yes, we have seen this and this does not deliver the WOW message that you want to get across. Reducing overhead is great; yet how much does it cost to have fresh forms for each new patient coming to your practice who is worth many times over the cost of the form? If you do this, stop TODAY! The ADA has wonderful tablets of Health History forms available for a reasonable price (they even have an online version available) or you can have one specifically designed for your practice economically. HIPAA – It can be short, sweet and to the point. Appointment card, NEATLY written or better yet printed from computer with a reminder of their first visit. A short, and we mean short, explanation of your reminder policy and financial policy (pay your portion at time of visit). Extra might be a very short bio of the dr., philosophy and of course your “connect” cards that not only supplies the patient with your social media contact information, but a great way to collect all of their communication information. New patient packets can deliver a clear message of cleanliness, organization and value to the patients.I personally had made an appointment with a “new to me” dentist and what came in the mail, in a regular envelope, was a copied, very hard to read health history form, and a crooked copy of an insurance information request form. Yikes. 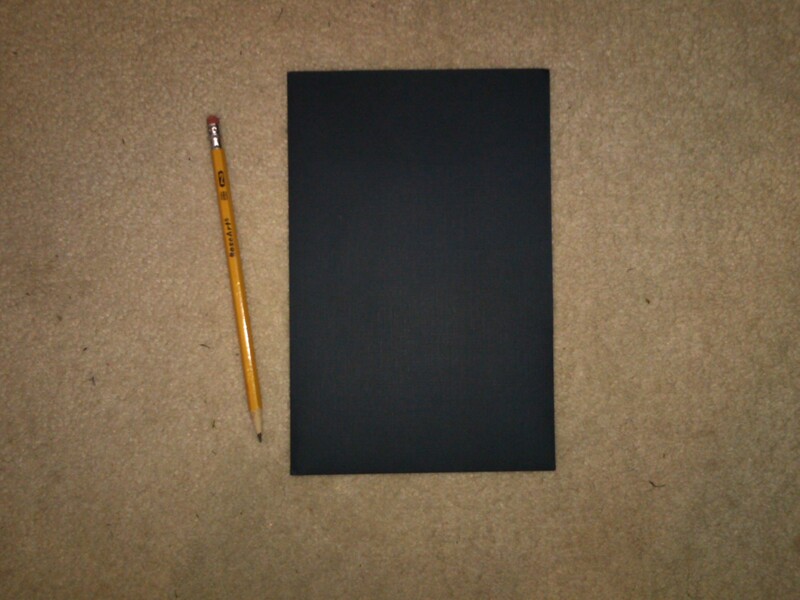 That was all I ever signed for that practice. When I opened that, I did not get a very good feeling, and again may we remind you that people buy based on emotion? Seriously, my first thought was “cheapo”. In one of the ortho practices, their home care instructions that they hand to the patients after getting their ortho on were on photocopied (looked like the ink needed replaced) crookedly cut, flimsy paper. Your patients are spending thousands of dollars within your practice and this is what they get? Our goal is to have a never-ending flow of WOW for the patient. From the first phone call, to receiving the new patient package, to entering your doors for the first time, this flowing sense of WOW will continually impress upon the patient your dedication and passion for their oral health. There are over 160,000 dental practices in the US. What do YOU do to make sure your practice stands out above the rest? 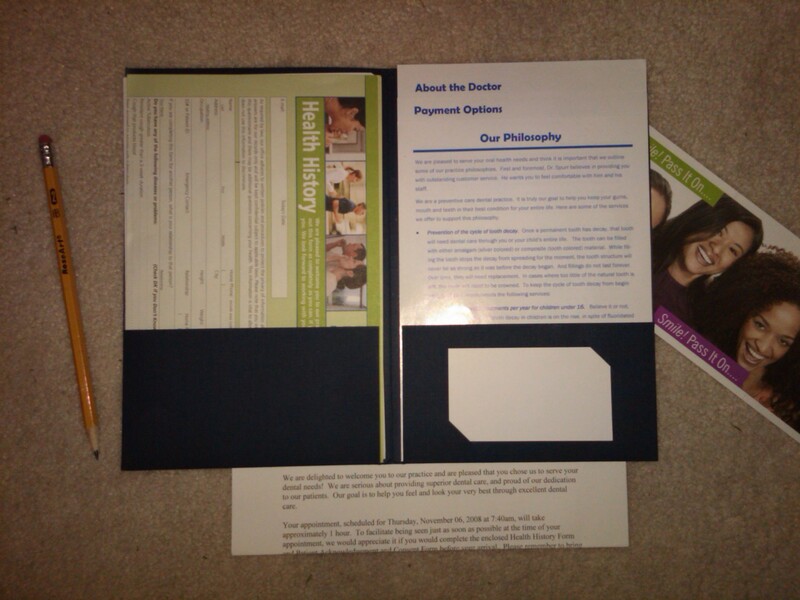 See the pics we have posted of a sample new patient package – these folders are small, 8 3/4 x 5 3/4 and are economical to mail. What action plan can you instill in your practice today to keep the WOW coming? Don’t settle for anything less. “The moment you settle for less than you deserve is the moment you get less than what you settled for”. Kind Regards, Positive Energy and Continued Success!! 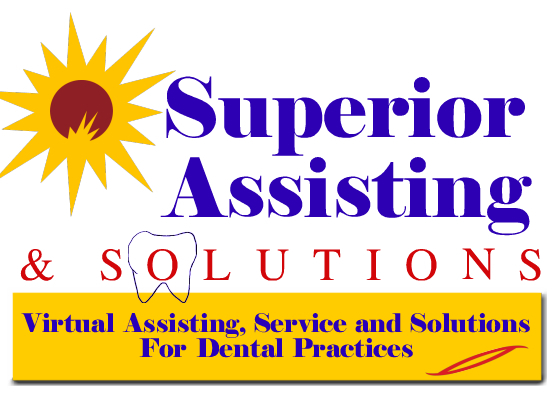 The first virtual assisting support and service center passionately dedicated to dental practices.